The real proof is when you hear it for yourself. Independent research at leading universities demonstrates the power of Burge's methods. From the Far East to the Far West, musicians in over 120 countries have already learned the simple secrets to Perfect Pitch (known in scholarly circles as Absolute Pitch). Yet the debate about Perfect Pitch had raged for decades: Could you develop it? Or was it a supernormal hearing skill that only the elite are born with? David Lucas Burge released his simple secret to Absolute Pitch in the March 1981 issue of Contemporary Keyboard (now Keyboard magazine). The music world became intrigued, though at that time there was no research to substantiate his methods. Even so, thousands of musicians took up the program. Research on Burge's Absolute Pitch methods was first conducted at the Ohio State University. To make a 401-page story shorter: As many as "three of the five subjects who completed the training regimen actually became possessors [of Perfect Pitch/Absolute Pitch]"1  despite the brief training period. Since flutists, guitarists, trumpet players, etc. all were tested on piano  and not their own native instruments  any ability of pitch recognition is quite remarkable, even to Burge, who would not expect a flutist to recognize tones on the piano during the initial stages of Absolute Pitch development. The researcher concludes that the statistics "clearly indicate dramatic improvement as a result of [Burge's] training [which] was found to be significant for all measures of absolute pitch ability. "2 This achievement undoubtedly has raised many brows and indicates a startling breakthrough in music self-development. What is the experience of Perfect Pitch like? 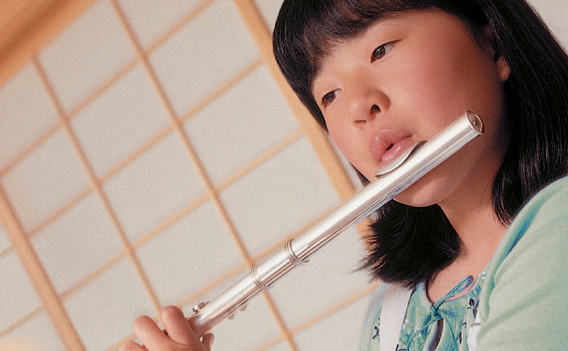 From our Archives: See Absolute Pitch article by David Lucas Burge in Suzuki World magazine. Footnotes: Study #1: Rush, M. A. An experimental investigation of the effectiveness of training on absolute pitch in adult musicians, The Ohio State University, 1989: 1p. 212; 2p. 196; 3p. 400; 4p. 400; 5p. 397; 6p. 399; 7p. 400; 8p. 399. Study #2: Nering, Marguerite Elaine. A study to determine the effectiveness of the David Lucas Burge technique for development of Perfect Pitch, The University of Calgary, 1991: 9p. 161; 10p. 342; 11p. 355; 12pp. 355-6; 13p. 356; 14p. 357; 15p. 357; 16p. 135; 17pp. 135-6; 18p. 133; 19p. 357.